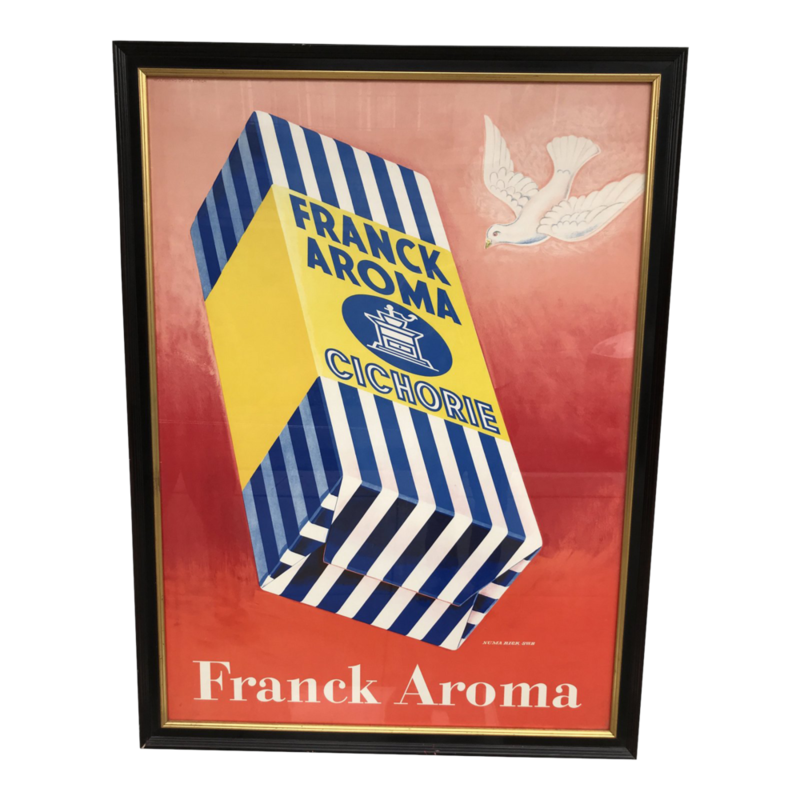 Vintage 1946 Frank Aroma Coffee framed poster by poster designer Numa Rick, printed by Swiss lithographer Wolfsberg-Druck, Zurich. Mounted in a substantial black lacquered wood frame with gold interior border with a plexiglass front. Ad features a floating box of Franck Aroma chichorie with a dove of peace, a sign of the celebratory post WWII times. 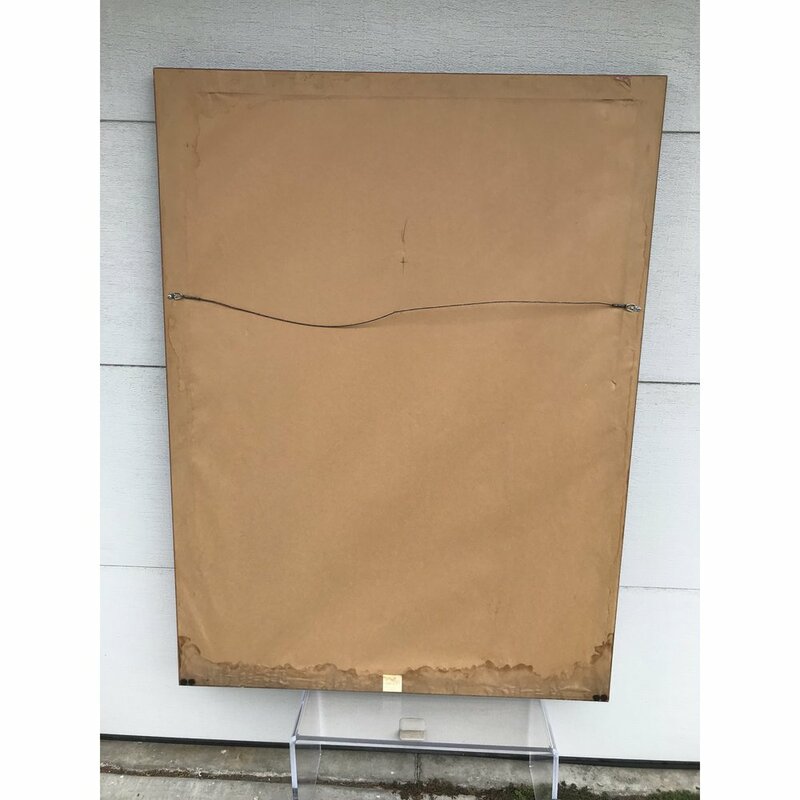 Poster measures 36 x 50 inches to inside of frame, 40 x 54 inches to outside of frame.